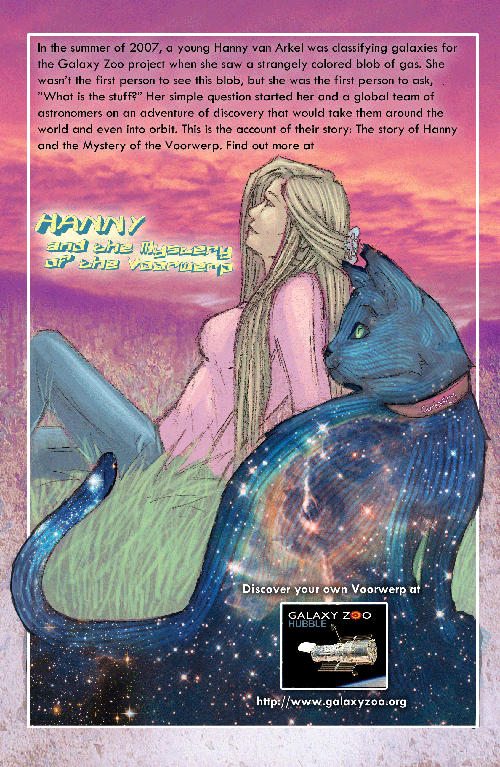 This past Monday, at about 8pm Central (GMT -4), a Voorwerpish webcomic was delivered to Sips Comics for printing. Tuesday morning we got the page proofs, and now, one by one, they are being made into full color reality. We could say a lot of things right now: We could tell you about playing round robin with the script, digitally passing it from person to person under the guidance of Kelly, sometimes into the wee hours of the night. We could tell you about watching the art come to life; transforming from line drawings to fully rendered pages in the hand of our artists Elea and Chris. We could tell you how many pencil tips were broken, and how many digital files grew so big our computers crawled. We could talk a lot, but instead, let us invite you to join us for the World Premier and share with you a few images. 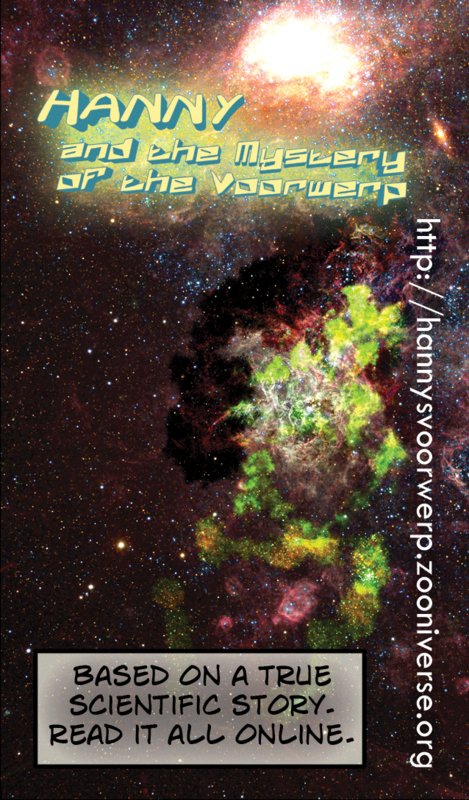 Come meet the artists, hear a brief talk by Bill, and generally revel in the Voorwerp’s awesomeness. And come dressed as a Voorwerp for a chance to win a prize for best costume! It should be great stuff for educating the younger generation. Thanks for the update.